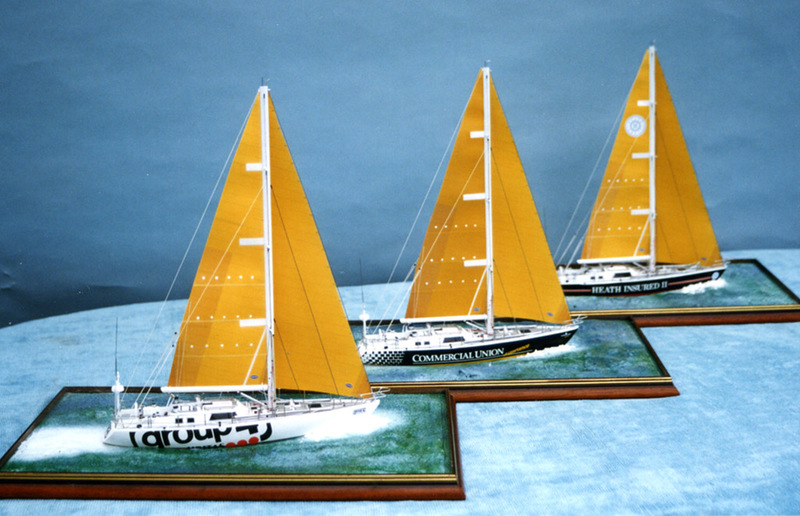 The photograph features Group 4 winner of the BT Global Challenge, a finely detailed 1:32 scale model of the BT Global Challenge winner Group 4. 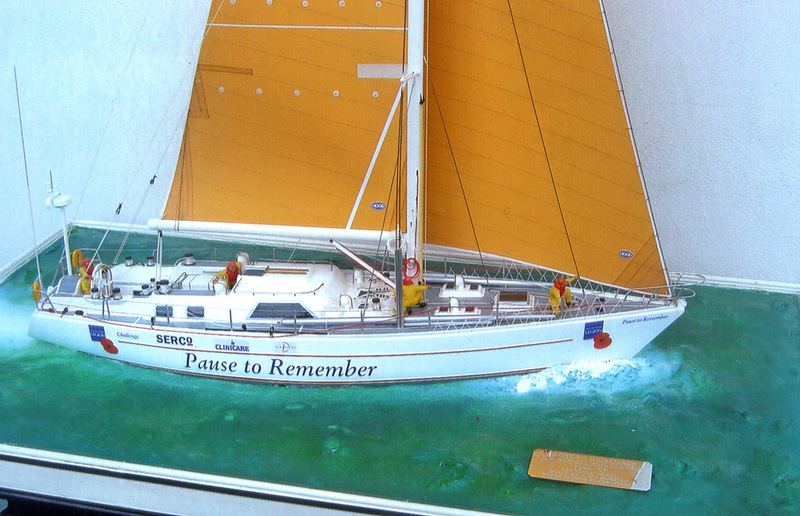 The photograph features ‘Pause to Remember’ who featured in the BT Global Challenge. 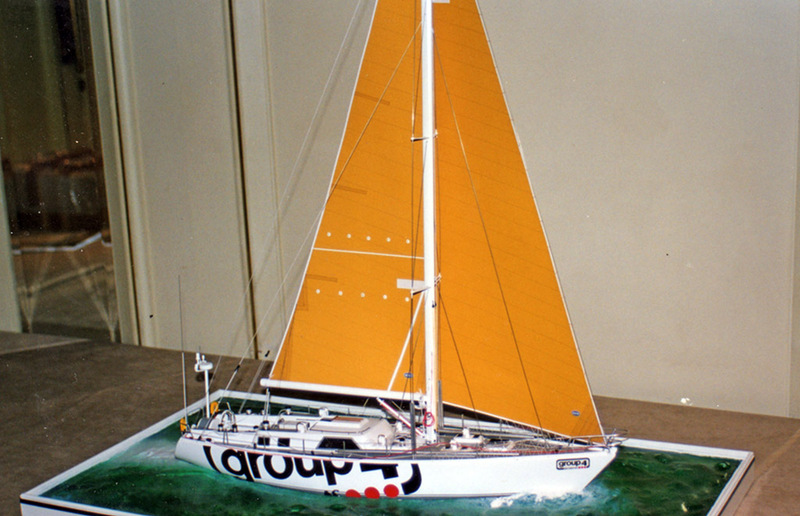 A finely details 1:32 scale model. 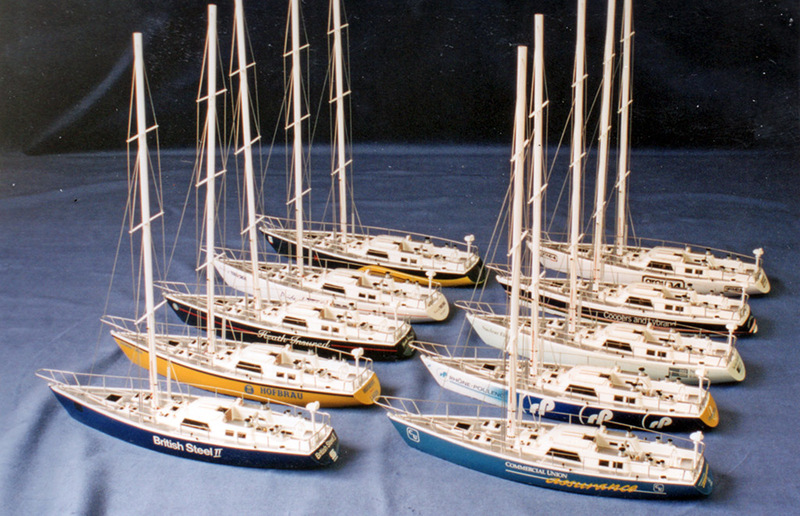 British Steel 1.72 scale models of the British Steel Round the World Race. 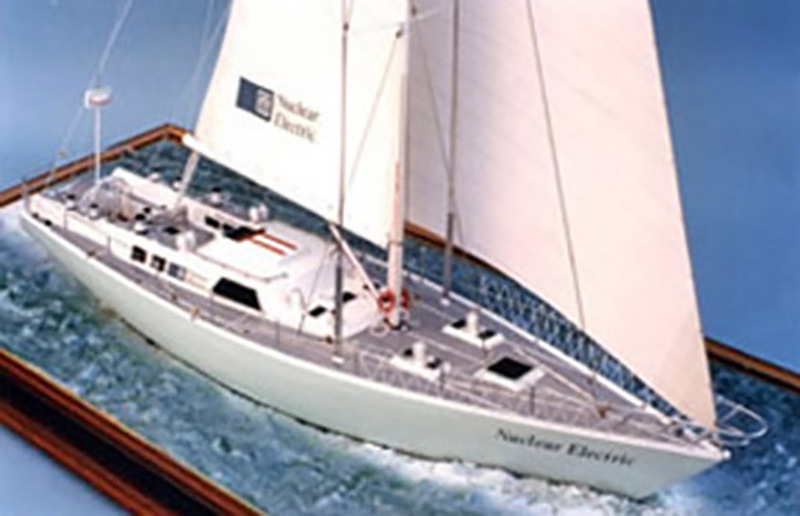 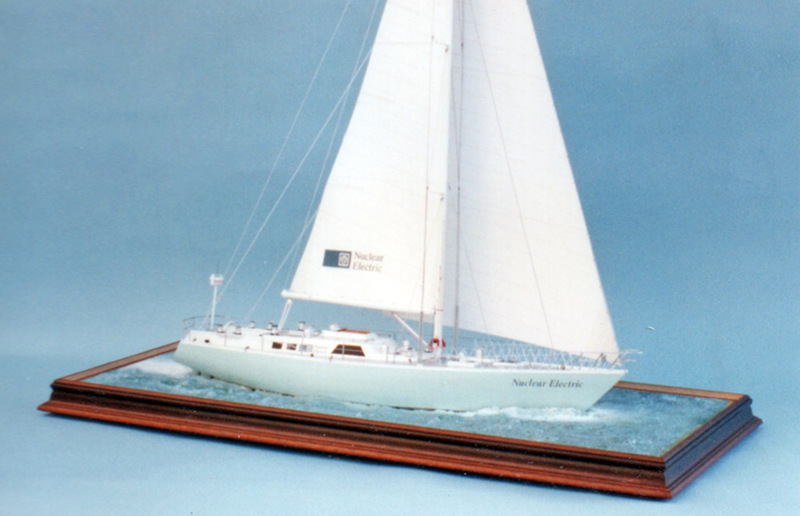 A finely detailed 1:32 scale waterline model of the’Round the World yacht ‘Nuclear Electric’ built by Devonport Management Ltd to the design of D. Thomas 1991.